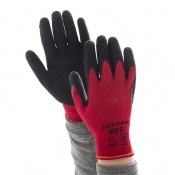 The Skytec Ninja Flex Gloves feature a seamless nylon/spandex liner with an ultra-light latex palm. 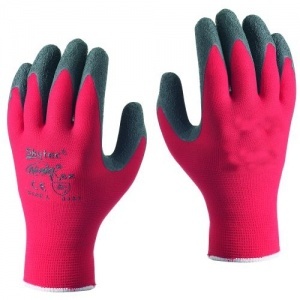 The light material gives the gloves a super thin 'feel' for improved dexterity, whilst maintaining resistance to abrasion and tear. The gloves achieve excellent grip in both wet and dry environments and are safe to use when handling or preparing food. 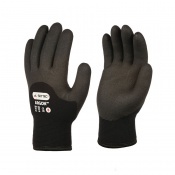 The Skytec Ninja Flex Gloves have been tested to EN 388, the European Standard that gauges a gloves resistance to a range of physical threats. Please see the table below for a breakdown of the results. 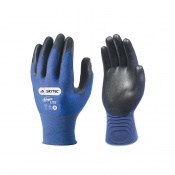 The Skytec Ninja Flex Gloves are available in a variety of sizes. See the table below to find the size that is right for you.